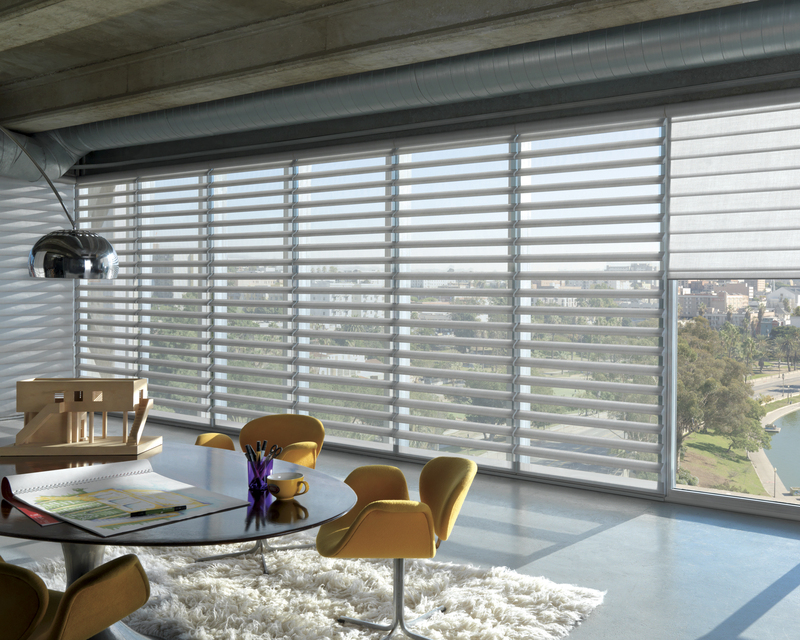 Luxaflex pirouette shadings are innovative window coverings that enhance the way you control light and privacy. 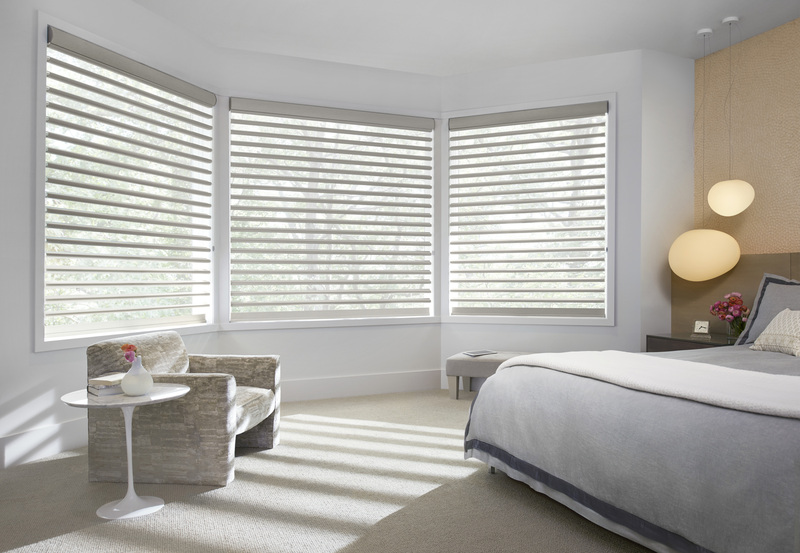 Luxaflex pirouette shadings are innovative window coverings featuring softly curved, elegant horizontal fabric vanes attached to a sheer backing for an enhanced way of controlling light and privacy for you and your family. 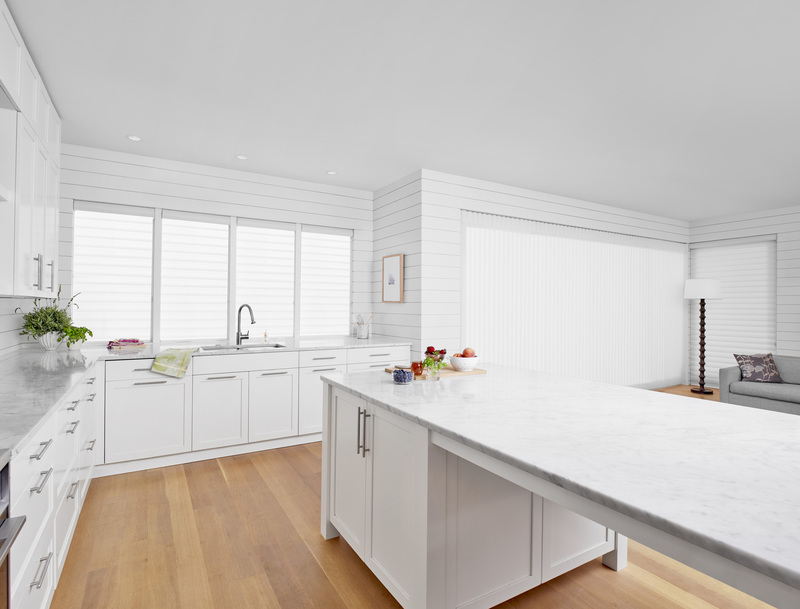 Classically simple in styling, the delicate folds appear to float above the window, allowing light to filter through, or to be completely closed for total privacy. 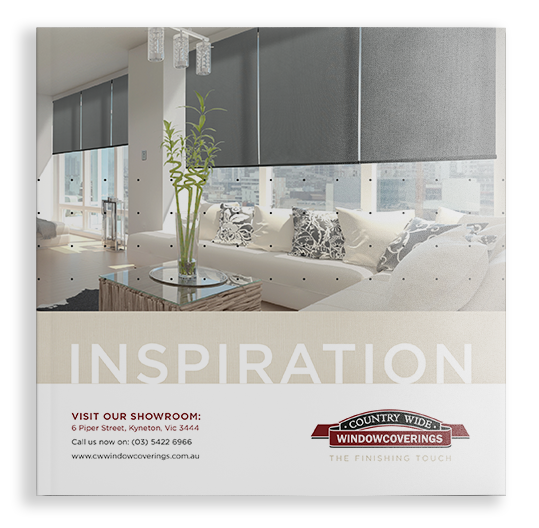 The sheer backing reduces glare and filters harmful UV rays. Available in seven fabric ranges, which include traditional, modern and fashion-forward colour palettes different opacities provide a warm glow, or room-darkening for privacy without total darkness. 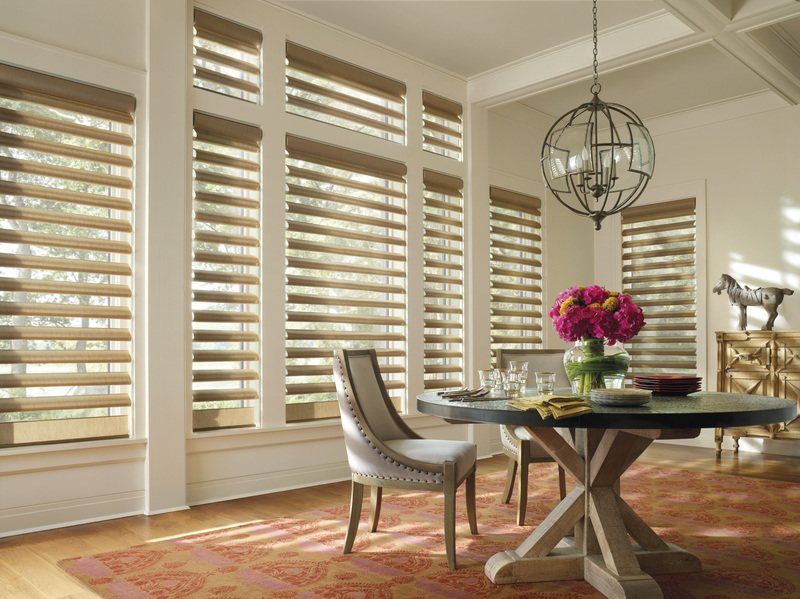 Complement your Pirouette-focused room fit-out with other types of window shadings that match their style perfectly. 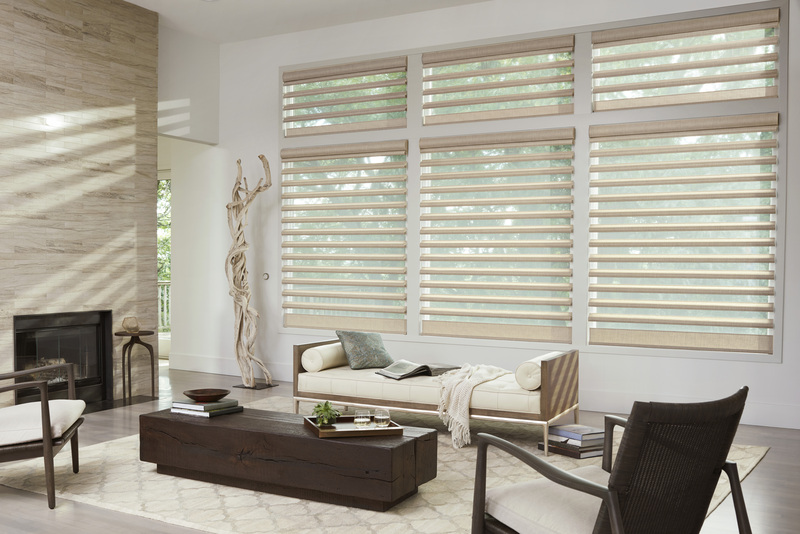 Silhouette shadings and luminette privacy sheers pair with pirouette flawlessly.